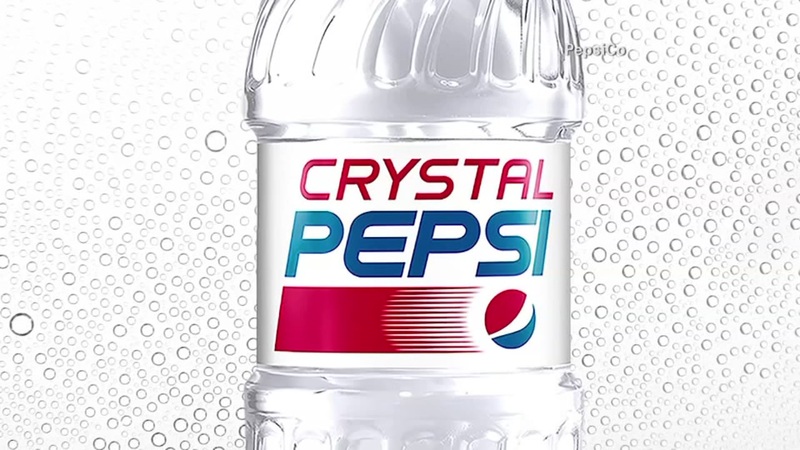 '90s kids rejoice: Crystal Pepsi returns to store shelves this summer! Crystal Pepsi will return to store shelves in the United States and Canada later this summer. PepsiCo announced Wednesday that the clear cola that retro-bloggers remember fondly will be released in 20 ounce bottles starting August 8 in the U.S.
To further appeal to '90s kids eager to binge on nostalgia, Pepsi will release an online video game called "The Crystal Pepsi Trail," a spin on the popular '90s computer game "The Oregon Trail." The game will be available to play on www.crystalpepsi.net starting July 7. Crystal Pepsi will be sold for a limited time in Canadian stores starting July 11. It is the latest bid by the Number 2 soda player behind Coca-Cola Co. to win back consumers. The move comes after the company said Monday that it would reintroduce aspartame-sweetened Diet Pepsi after replacing it last August with a sucralose-sweetened version. Diet Pepsi's sales plunge deepened in recent months, with loyalists balking at the new recipe and new drinkers failing to surface.